Homestead Preservation Districts In May of 2015, City Council began considering adopting three new Homestead Preservation Districts (HPD’s) and creating the Tax Increment Reinvestment Zone (TIRZ) in the original (already adopted) HPD. [See HousingWorks’ Homestead Preservation Districts Overview]. At their last meeting of 2015, Council adopted all three remaining districts and created the first HPD TIRZ. 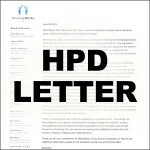 HousingWorks Austin addressed this issue in May 2015 in this letter to Council and continues to advocate for Homestead Preservation Districts as a strategic tool to combat gentrification in Austin. 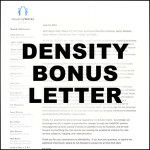 PUD Density Bonus In October, City Council voted to limit fee-in-lieu options for Planned Unit Developments (PUD’s), thereby paving the way for increased on-site affordable housing. Prior to the vote, HousingWorks Austin wrote a letter of support for this change. We have long advocated for changes to the density bonus policy in order to ensure greater dispersion of affordable housing throughout the city. The City’s most recent Analysis of Impediments to Fair Housing Choice identified barriers to fair housing choice, including the City’s policy of giving developers the option to pay a fee instead of building onsite affordable housing. 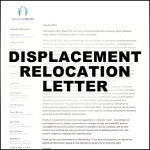 Tenant Displacement and Relocation With recommendations from HousingWorks Austin expressed in this letter, City Council directed staff to establish tenant relocation assistance requirements for developers demolishing or substantially rehabilitating multifamily properties in Austin that would result in displacement of low-income tenants. The resolution passed in early November of 2015, and staff began preparing for both public meetings and a public hearing before the Planning Commission in the first half of 2016 to finalize the recommendations. Accessory Dwelling Units In November, City Council passed an ordinance relaxing the regulations on Accessory Dwelling Units (ADU’s) and expanding the geographic area in which they are allowed. Recommended as part of the May 2015 Analysis of Impediments to Fair Housing Choice, this change in policy paves the way for more housing types (potentially at a range of price points) throughout the city of Austin. Earlier in the year, HousingWorks Austin recommended changes to ADU regulations in this letter, coupled with additional tools (such as below-market financing and pre-approved plans) to achieve greater affordability at a variety of income levels.